Suilven is one of the most wonderful of the Assynt peaks having a really quite iconic appearance to it. Not everyone agrees with me but I prefer this particular viewpoint across the spectacularly pretty Loch Druim Suardalain. 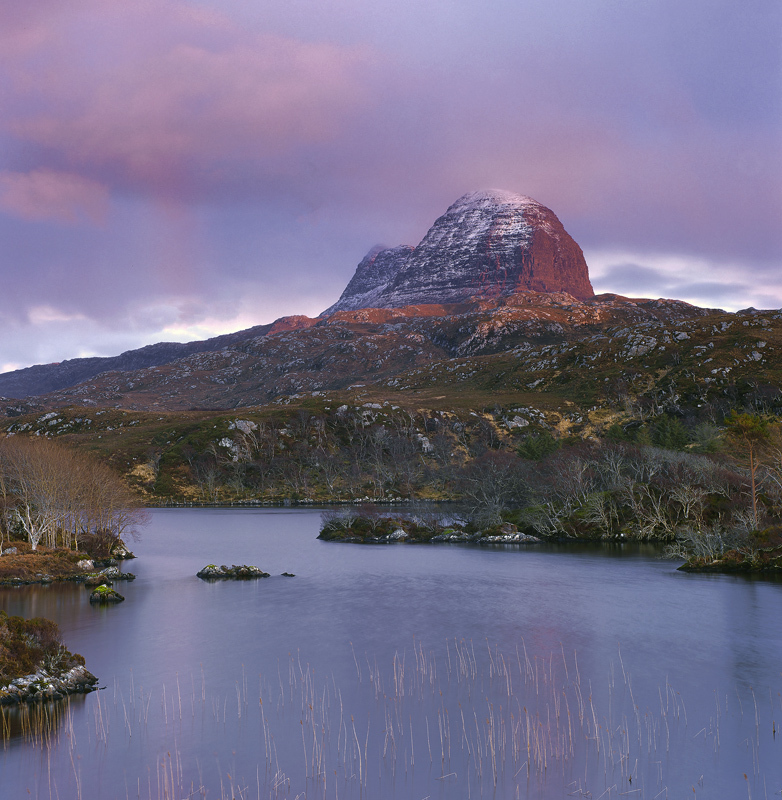 From this aspect Suilven looks like a sore thumb sticking up from the surrounding hills and as if to compound it's injury "the sore thumb" is plum red glowing in the last vestiges of sunset which was smothered by a squally shower that spawned rainbows and rose coloured clouds. Love these last transient moments before the scene dives into the solemnity of twilight.